According to the Society for Human Resource Management (SHRM), 70% of organizations offered wellness programs to employees in 2015, and an additional 8% planned to offer a program in the year thereafter. It makes sense why this percentage is so high. Businesses that offer wellness programs to employees often qualify for certain tax incentives and grants from the government as a financial reward for promoting better health. Additional financial rewards come directly from the employees who participate in the programs. Rand Corporation’s 2014 study on workplace wellness programs revealed that companies saved an average of $30 per participant per month in healthcare costs. For a large company with high employee participation, that $30 extra can really add up. Not to mention the softer financial benefits to employers such as increased productivity and decreased absenteeism when they have a healthy workforce. However, all these benefits are in fact dependent upon employee participation. And unfortunately, getting employees to sign up to do something outside of their traditional job requirements can pose a bit of a challenge. Here you’ll learn the three keys to increasing employee participation in wellness programs. Just like grants and tax breaks encourage companies to adopt wellness programs, incentives and rewards encourage employee participation. Maybe part of your wellness program is offering an instructor-led workout class each morning. In order to attain high participation and sustain attendance, it would help to have some sort of clearly defined incentive attached to it. Gift Cards, Event Tickets, Cash, etc. Once you define what kinds of prizes you want to give, you’ll have to decide how you want to give them. Consider whether you want to hand out rewards monthly, quarterly, or annually. Do you want to hand out prizes to every winner, or place winners into a raffle and select one or several of those to take home a prize? Also, who are you going to deem a winner? There are a couple of ways to incentivize employees — the effort incentive and the outcome incentive — you’ll simply want to decide which one works best for your wellness program and goals. In terms of the daily fitness class example, this type of incentive would reward employees who simply show up to the class. Maybe you decide that rewards should go out to employees who attend the fitness class every day for a month. This would reward employees who complete an identified goal. The fitness class might start out by having attendees see how many sit-ups they can do. Then, over the course of the month the goal would be to increase their initial sit-up count by 20. Employees who reach that goal would receive the reward. Keep in mind, in order to get employees excited about the incentive program you choose, you’ll have to make it fair. You’ll need to have alternative and appropriate options for employees with pre-existing medical conditions, employees who are pregnant, etc. The incentive program should be available to everyone. Your company could offer awesome wellness benefits like cash for meeting certain weight loss goals or event tickets for participating in “x” number of company-offered fitness classes. But unless your employees have the time, energy, and interest, those efforts will likely fall flat. This is where creating a culture of wellness comes into play. 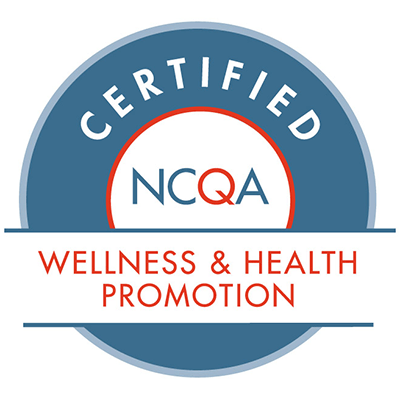 Create positions that are dedicated to running your company’s wellness programs or allow existing employees to volunteer to help be a wellness ambassador. Having staff dedicated to furthering your company’s wellness goals can increase engagement in your programs by 10%. 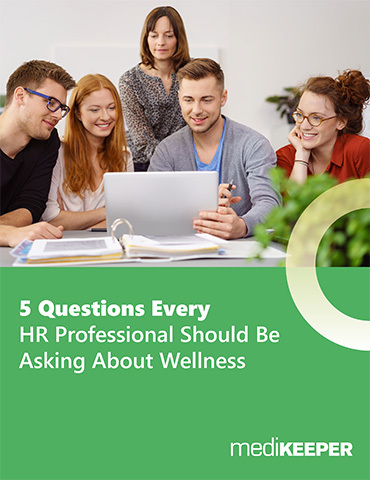 If you encourage employees to take on as much work and as many responsibilities as possible, then your wellness goals may seem conflicting. Wellness concerns like stress, depression, and work-life balance should be just as much a part of your program as smoking cessation and weight loss. A focus on comprehensive wellness will get more employees on board, too. From informational health literature to incentive ideas to a complete online wellness portal, there are tons of third-party resources your company can take advantage of to make your wellness offering more robust. Employees will appreciate the investment in their health and be drawn to such a high-quality offering. Have a healthcare professional come to your business to collect employees’ biometric data. Employees can plug their data into a health risk assessment (HRA) to get a snapshot of their current health and where they can improve. This data also allows employers to see trends in their employees’ health and define priorities for the company’s wellness programs. Keep in mind that health data is highly sensitive and employees may be hesitant to allow their employer to access this kind of information. Thanks to HIPAA-compliant online wellness portals like MediKeeper, however, employee-entered data is anonymous to the administrators when they view the trends at-large. Administrators can even send out targeted emails to specific groups (i.e. employees with high blood pressure or those who smoke) without knowing who those emails are going to. A culture shift takes time, don’t get discouraged when employees don’t respond to this overnight. Present the new company objectives, stick to them, and allow time for everyone to adjust to a new routine and a new way of thinking. Humans love to compete. Why do you think we sign up for hot dog eating contests, go to arcades, or appear on shows like Jeopardy!? We find challenges entertaining, and more importantly, we want to win. Companies would do well to tap into people’s competitive spirit and set up challenges related to health. Not only does this provide a fun chance for employees to “win,” but it brings them closer to their health goals throughout the process — in that sense, everyone’s a winner, especially for companies looking to increase their employee participation. Make it fun! Don’t be surprised if no one signs up to do morning laps around the cul-de-sac. Instead, set up relays, or even a walk to a nearby park. Incorporate tech. From wearables to online wellness portals, tech makes it easy to track and monitor progress and activity. Make it easy. Along the same lines as tech, it shouldn’t be complicated for employees to sign up for challenges and participate. Streamline this process as much as possible. Organization here is key, and it also helps to have employees dedicated to the wellness initiatives, as suggested above. Change it up. The same weight loss challenge every month is not going to keep people engaged for long. Not to mention, it probably won’t speak to your entire population. Change up the challenges and make sure you offer something for everyone. Check out our full-length post on social challenges to learn more. With a great incentives program, a positive culture of wellness, and fun opportunities for employees to compete against their colleagues as well as themselves, you’ll find that your participation numbers have never been better. The potential benefits of a wellness program are huge for both employee and employer, but participation is paramount in order for those to take shape. Over a six-year period offering wellness programs to employees, Johnson & Johnson found that they received a $2.71 return for every dollar spent on health initiatives. And on the health side, they cut the number of employees with high blood pressure in half. These kinds of results are possible for your company, too. What will be your first step toward increasing employee participation?